Solaraterm Company, together with Apricus distribuitor in Moldova, AGS Group Company, installed the first solar thermal systems for public institutions in the former Sovietic Republic. 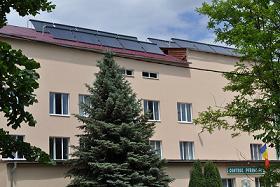 To "Perinatal Orhei Center" was financed the installation of solar collectors for domestic hot water preparation, this Center becoming the first hospital in Moldova which has Apricus solar thermal collectors. The second system was installed on the surgical unit of the hospital in Telenesti. As in the first installation this one also provides hot water. These facilities were financed by European Union represented by the EU Delegation in Moldova through the Moldova Social Investment Fund ( FISM) . The financing agreement for the project reached 2 milions Euro of which 1,5 milion is the grant provided by the EU. 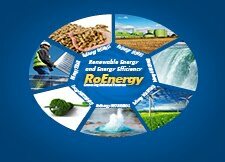 The Project consisted in the purchasing and installation of boilers that run on briquettes mad from agricultural waste and solar thermal systems in 72 public institutions (schools, kindergardens, social health centers) situated in rural and urban areas with no access to natural gas network. Links: Solara Term , FISM . Well done! The Apricus solar hot water collectors are my favourite solar hot water system! !